When you think of fitness and healthy living, what do you think of? 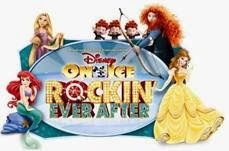 "acai", "power", and "fresh"-they capture the perfect audience. They're even starting a line in coconut water. But their words don't equal health. When you get to the bare naked truth-literally-the facts just don't live up to the promises. 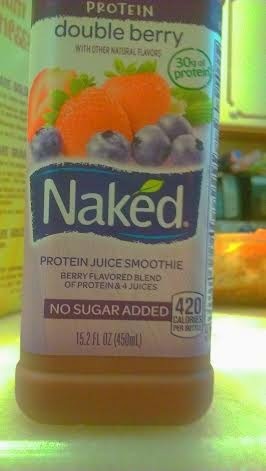 Is Naked really like drinking Mountain Dew? Naked Juice and Mountain Dew have more in common than you might think. Besides both being "green", they both have about 60 grams of sugar (coming from fructose-Mountain Dew's from high fructose corn syrup, and Naked's coming from fruit juice). When you consume the amount of fructose in either of these drinks, you're consuming more than you should over the course of a couple days. Although I think that these drink are so yummy tasting-I do not recommend drinking these very often. They are not as healthy as they lead you to believe, but they do stick true to when they say that there are no added sugars (all of it comes from the fruits that they use). 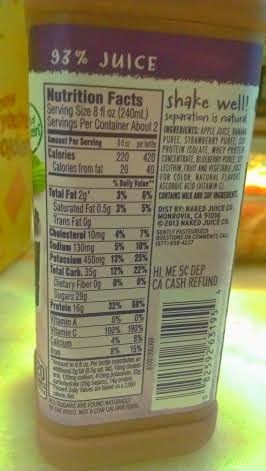 Naked Juice is effectively sugar water with overstated health benefits. 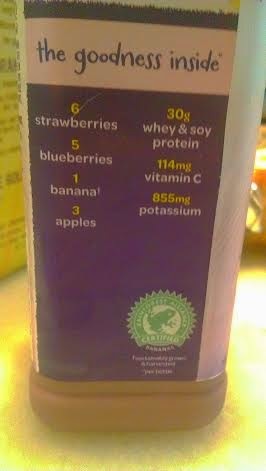 But it has vitamins! you exclaim. Naked juice isn’t just fruits and vegetables juiced and bottled and shipped to your lips. That would be too easy. 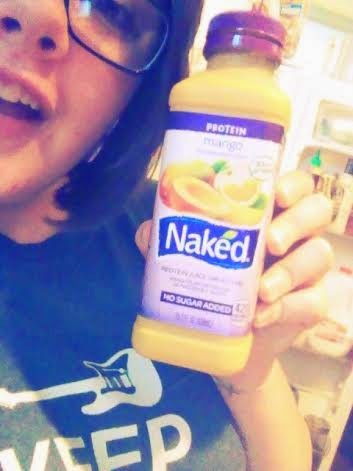 Naked, like 99% of all other juice brands, must put its products through types of pasteurization and irradiation. Both of these processes have mild to significant effects on nutritional value. 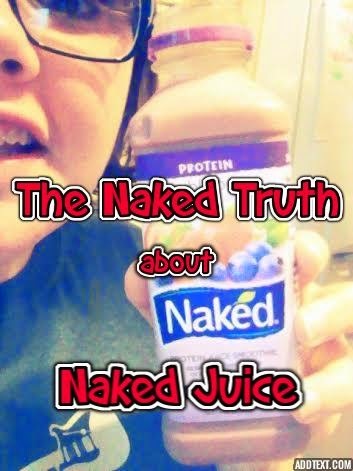 By the time Naked juice gets to your lips, it’s a processed food product nothing like the real thing. The Naked marketers may claim that you’re getting a bunch of vitamins and minerals, but how many of those are bioavailable and what’s their end quality? Naked has one more thing in common with Mountain Dew. Besides both being green and both being sugar water, Naked and Mountain Dew are both products of PepsiCo. That’s right, Naked is made by Pepsi. Does that scream quality and health? Hardly. Whether you’re concerned with health or not, the macronutrient ratios alone of Naked juice is a recipe for weight loss disaster. Consuming that much sugar on a regular basis is not a good idea for your metabolism, your waistline, or your health. Why bother with this stuff when you can get all of the vitamins, minerals, and enzymes — and of higher quality — from other sources without taxing your hormones and liver? The bottom line: If you want to look good naked, stay away from Naked Juice and other juice products. Focus on consuming high quality foods and staying away from foods that are toxic to you. To read more about the fact on Naked Juice you can click here. Are you a naked drinker? Tell me your thoughts in the comments below!